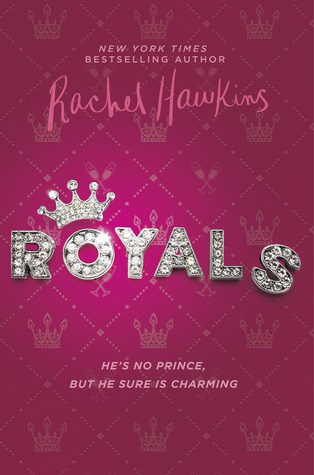 Royals by Rachel Hawkins is a fun and fluffy read. This story has everything from cute princes, a snarky female lead, angst, and my favorite, all the swoons. Although the main character Daisy is forced to spend her summer in a new country and in the spotlight with royalty, I think she handles her situation very well. She is told what not to do, what to do, and is oftentimes forced to put on a show for society. I often felt like I was watching a 90s movie, where change is inevitable, but the female lead allows herself to rebel against society’s standards and be who she wants to be. I honestly felt sorry for Daisy throughout the book. She did not ask to be thrown into this world of royalty and proper etiquette. In one part of the book, her and her best friend had a whole trip planned out to meet their favorite author and I hated that her sister’s engagement to a prince ruins those plans. I had to grit my teeth because Daisy was forced to go with the flow and do what other people want. So not fair! But what I liked about Daisy is that even though she is forced to put on a show, she still puts her foot down when needed. She doesn’t allow herself to get lost in this royalty mess. Overall, I found Royals to a very quick and cute read. However, I felt like it was missing something–that spark that makes it different and “wows” me. I never felt that spark. I did, however, love the ending and I hope there is a lot more in store for Daisy and Miles. Note: Thank you to Penguin Random House’s First to Read program for providing me an e-ARC of this book in exchange for an honest review. All statements and opinions are my own. Given to the Earth follows a few months after the captivating ending of Given to the Sea. Also, told in multiple points-of-view like its fantasy duo, this book focuses on how Khosa’s thought-to-be tragic sacrifice to the sea has now turned into a chance to live and be queen. But with these new changes in motion, the Earth begins to literally crumble beneath them and the loyalties among the characters are challenged. Love becomes a triangle of complexities–trust and forgiveness are tested. McGinnis writes a beautiful epic story, where lives at social and cultural classes are pushed to survive. She takes each of her flawed characters, and gives them a chance to save themselves, their family and friends, and in some cases, their own people and kingdom. What I loved about this book the most was the many shocking secrets that are revealed. We delve into an action-packed book that is filled with tragic traditions, political gain, and secretive histories. In Given to the Earth, we are thrown into layers of political intrigue, betrayal, heartbreak, and some tragic endings. And in the end, I loved the last chapter, which brilliantly and beautifully provides a heartfelt conclusion. In several scenes of Given to the Earth, Khosa is mentioned to be eating bread or munching on bread crumbs. Now I love me some good, warm homemade bread, but I also have a sweet tooth. While reading these scenes, I could not stop thinking about my mom’s famous monkey bread. So of course, I quickly whipped up a batch of monkey bread and ate it during the last few chapters of the book. Both the monkey bread and the last chapter made an ooey-gooey mess with my heart. Add and arrange the sugar-cinnamon biscuits pieces into the greased bundt pan. Bake at 350 degrees for 35 minutes. Let it cool for 10 minutes and flip onto a plate. You can now slice the cake or pull pieces off. YUM! Note: Thank you to Penguin Teen for having me on this blog tour and for providing me a review copy to read for free in exchange for an honest review. All statements and opinions are my own. Spellbook of the Lost and Found will enchant you from the first chapter. Told in multiple points-of-view, the story unravels with a thread of characters connected by a book/journal–particularly one spell–that promises to help those who seek what they cannot find. But like Newton’s Third Law, this spell conforms to the law of forces, allowing the world to confirm that with every action there is a reaction. So when something is found then something is lost and vice versa. Spellbook of the Lost and Found is a weaving of words and characters that encompass a story that integrates a tug-of-war battle between the past and the present, the real and the unknown, nature and the preternatural, the lost and the found. It is a web of stories where the past and present are swallowed in at thick fog of lost mementos, forgotten memories, and new discoveries. This story will wreck you with conspiracies, hopeful romances, and haunting secrets. In the end, this is a book about sisterhood, friendships, family, and falling in love. And what I loved most about this story is how it beautifully blends magic and reality. Spellbook of the Lost and Found focuses on the reality of sacrifice, love, and what is worth letting go and what are the most important things to search for. I left this story feeling like I was a under a spell, and with any future rereads, I am sure I will uncover other twists and turns that I may have not picked up originally. NOTE: I was not provided a copy of this book by the author or the publisher in an exchange for a review. 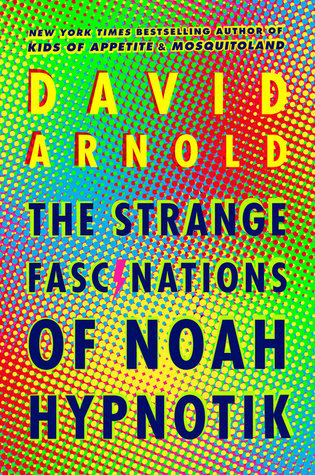 I bought the UK edition of this book with my own funds and reviewed it at my own discretion. All statements and opinions in this review are mine.